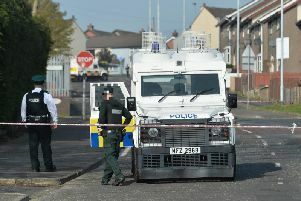 Two people have been arrested in Lisburn on suspicion of possessing criminal property. A man, 30, and a 28-year-old woman were detained after officers carried out a planned search of a property in the Lady Wallace Gardens area of the city at around 8.40am on Thursday, June 21. “They both remain in police custody,” a PSNI spokesperson said.